Got mine last week before the sale. Very heavy and thick book. Lots of nice pictures and text in there for each of the 11 Divisions that made up the Southern Railway. Highly recommended as are the two Southern Railway Power in color books from Morning Sun. Thanks for sharing that. I’ll have to order it. I spent a couple of hours at the TVRM on the way home from Tennessee and I rode the Missionary Ridge Local. I got a picture of a southern E-8 the museum was storing. 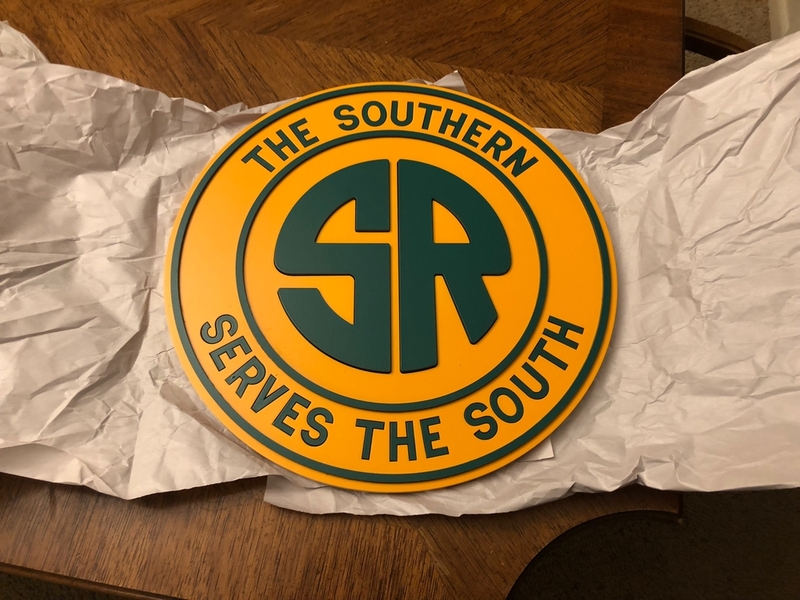 I also picked up a Southern RR sign and a copy of "And Then There Was One" which is a documentary about Southern 4501. Picked up this single A unit at a decent price w/PS3 and terrific smoke output! Southern steam, left to right Lionel Southern switcher 6536, Lionel Pacific 1393, Lionel Pacific 1372, Weaver Pacific 1380, Lionel Mountain 1491, Lionel Consolidation 630, Lionel Mikado 4866, Lionel Mikado 4501. 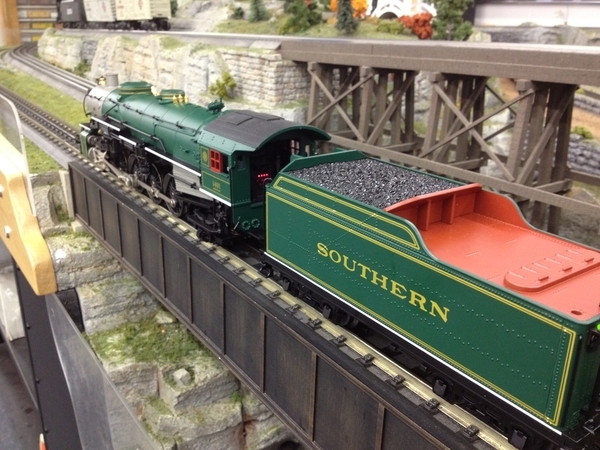 Beatiful display of your Lionel & Weaver Southern Steamers outside your roundhouse! Excellent Neal--a lot of aces in that deck! Tom Morris When Lionel announced the SRR Ts Mountain would be built I sent two colored photos to their HQ. One like your posted copy, shown in Asheville, and a very dirty one parked in Spartanburg. The roof of the one in Spartanburg as well as much of the boiler was covered in soot so color was not determinable. My best evaluation based on a long ago TIES magazine comment was flat black. Anyway I urged them to not follow the "red roof marketing syndrome" which was wrong. I received a letter of thanks back from the Secretary to the President noting that my photos were placed on file. Of course we got the red roof. Way back in the very early days of MTH I did some basic research for Mike on the Southern and the Clinchfield (Challenger), working mostly with Mark Hipp Mike's brother in law. However, when they planned the Ps-4 1396 Southern Crescent version I argued directly with Mike that a red roof was wrong. As a result he shipped my 1396 with a green roof but went to market with the red roof--more salable I was told. 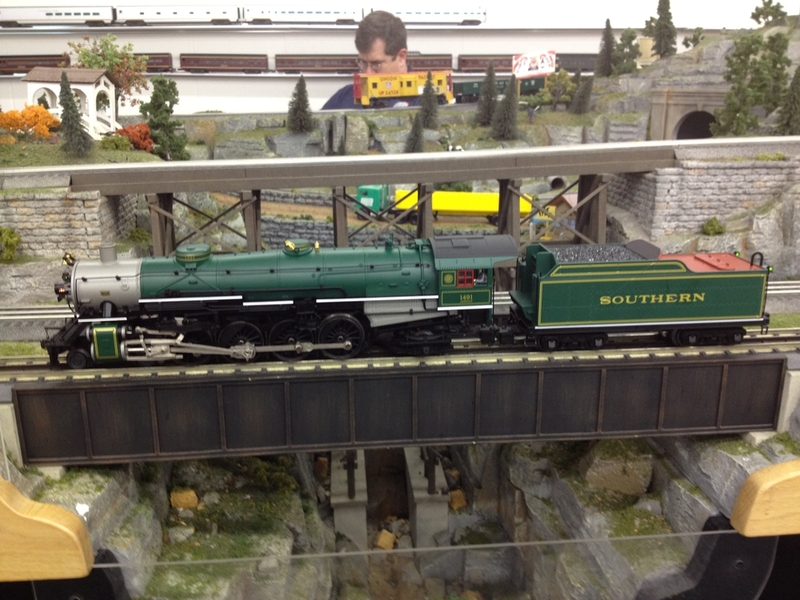 My 1396 is pictured top right on the metal shelves and left heading the consist on the shelf RR. Note the looped tender to engine wire, I had TA Studios convert it from conventional to TMCC. Fortunately (in later days) Lionel issued their versions with the green roof. I'm just disappointed that nobody makes a truly accurate version of 630. All the current one is a standard consol with SRR 630 markings. It has the wrong valve gear and a host of other things 630 doesn't have where the model does. If someone were to make a very accurate version of 630 in 3-rail, I'd simply have to have one as that was my first cab ride ever (age 11), and was also ET&WNC 207 (see below, she was involved in the final interchange of steam in the US, at Elizabethton TN as late as 1967). Heck, I'd have to get two of them, to model 207 and 630 when I rode her back at TVRM! I pre-ordered this, even though I don't model SRR. It's a great book and I really like it. Turned out, there were two photographers in the book whom I knew back from my days of living in the south! Thank you for your feedback. I am very temped to paint the cab roof of my Southern Mountain a flat black. 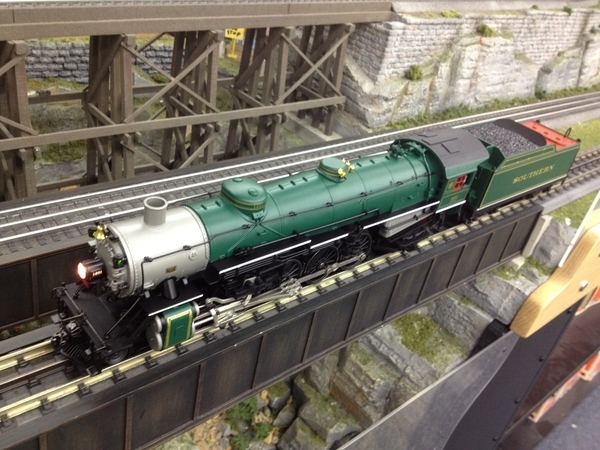 Have you seen this done in O gauge? I painted the roof of mine black several years back. I was quite pleased with the outcome. Wow Ben, that looks great! If the roof wasn't red was the deck of the tender red? Excellent job on the roof Ben..
Coach Joe According to a TIES article way back in the day regarding paint schemes for Southern steam freight locomotives, tender decks were painted red. I do not recall TIES information on passenger Locomotives but early photos taken by the press at a favorite railfan site on Erlanger Hill of CNO &TP passenger engines southbound out of Cincinnati indicated red tender decks. According to one rail writer back in the day, that is also the photo op site where a fresh Ps-4 from the builder heading up a consist appeared with a red cab roof and was photographed and published nationally, which caused the "red roof syndrome" applicable when producing HO & N gauge models of Southern passenger locomotives? According to the writer the Ps-4 roofs of the real engines were actually repainted when reaching the normal shop cycle. But most hobby-builders persisted with red and some still do. Southern Master Mechanics were known to have great latitude regarding the paint decoration and application of accessories on engines. 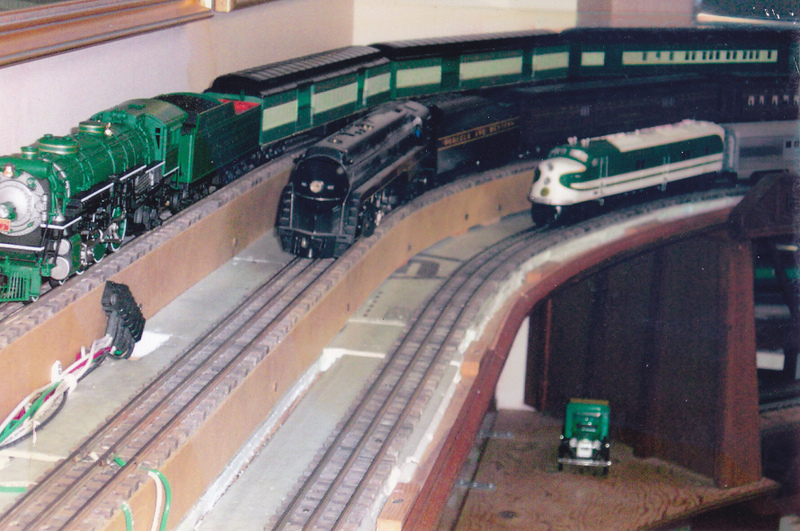 An O-gauge friend from Birmingham once told me that he saw some Alabama Great Southern Division green passenger engines with flat black cab roofs. 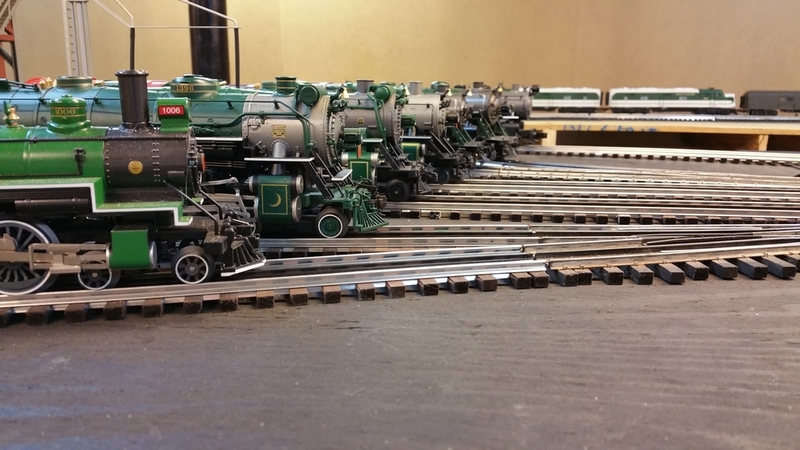 Here is some of my Southern Steam. WBB 40601, Lionel 6-31713, MTH 20-3466-1, Lionel 28057, Williams 5104, Williams 5013, & MTH 30-1467-1. Very nice photo of your Southern Steam Collection! If I counted the smoke stacks correctly that is a strong hand . I am in the Carolina's this week and I was wondering if you guys that have shopped at the Train Loft if you recommend that I should make the trip there? I know Jeff has a lot of new and older Southern stuff in stock so that would be my purpose in checking out his store. I have done a couple mail orders with him in the past but was wondering if seeing the store in person would be worth the trip since it is couple hours away. Let me know your opinions. Thank you. Ken I don't drive any further than the local MDs and Drug Store anymore so i haven't been to Winston-Salem and the Train Loft in about 3 years. Jeff usually had SRR stuff but I don't have a clue regarding his Southern inventory now. I am not really looking for anything. Just looking to go somewhere different here in the Carolina's. I thought about his shop with his inventory having more Southern Railroad stuff than others but same time I am hesitant because of distance from South Carolina. Thank you. Hey Ken. The last time I went, he did not have much Southern. I’ve bought a ton of Southern from him. 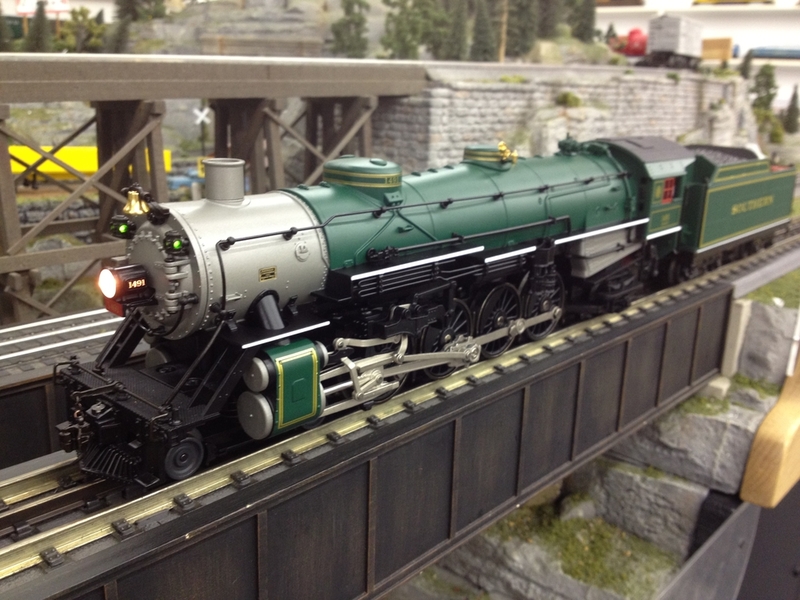 What is the difference between a model railroader's wife and a widow? There is no difference. Both know exactly where their husbands are at all times. I stopped by a few months ago, on our way back from vacation. Definitely Worth a stop if relatively near, but would not go that far out of the way if looking exclusively for southern items. Do remember a decent amount of Southern stuff, but not an overwhelming amount. Picked up an Railking 4 bay cylindrical hopper with Southern, Big John on it. I was more impressed with the amount of track and accessories he had in stock. Lots of new, old stock buildings and plenty of Lionel and MTH track. If I was building a layout from scratch, I would send him an item list and give him a chance to give a group price. Tyler, JStraw124, Dewey...thank you for the information. I decided to pass on making a trip to Train Loft mainly due to travel distance. I always like seeing different hobby shops but somewhat out of the way for this trip and too much time in the car. I plan on stopping Dixie Union hobby shop outside of Cincinnati OH on the way home. Look what made my roster today! I have been wanting one of these for a long time. Congradulations for getting the the Tennessean! It looks like the one I saw up for bid this past weekend. It looked like it is in excellent condition. Welcome to the Tennessean fraternity . 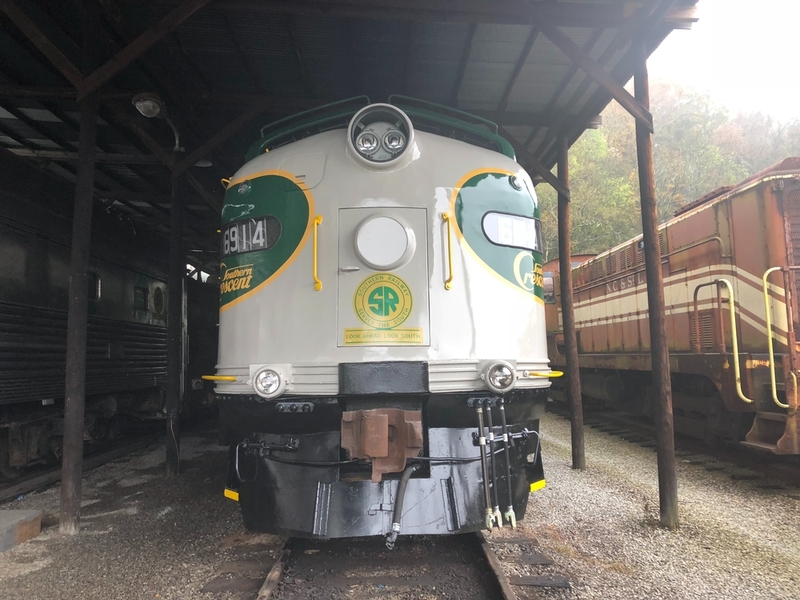 I have read that Bill Purdie wanted to use SP 4449 for the SRR steam program once it was done with the 1975-76 American Freedom Train, having run it on ferry moves to and from the train during exchanges with RDG 2101. I'm not sure how far the begging went but the city of Portland wouldn't let them use 4449 once the Freedom Train was done. But I'd read that if they could have used it, they would have copied that Tennessean paint job on her. A SRR fan pal of mine who bleeds green and gold has long promised to get a GS-4 and paint it up as SRR 4449, and I've kept encouraging him to do so. After many years of fruitless searching i finally found an early Southern treasure : my Williams Crown Edition brass Ps-4 4-6-2 in the box and looking good in Southern green (with red cab roof of course ). It has been hiding under a mass of the Domestic CEO's old Christmas decorations in a closet since the early 1990s. Bought it in Memphis and never got to run it. Don't own a smart phone and Grand Daughter #4 (of 4) has my camera--forum picture sometime later. 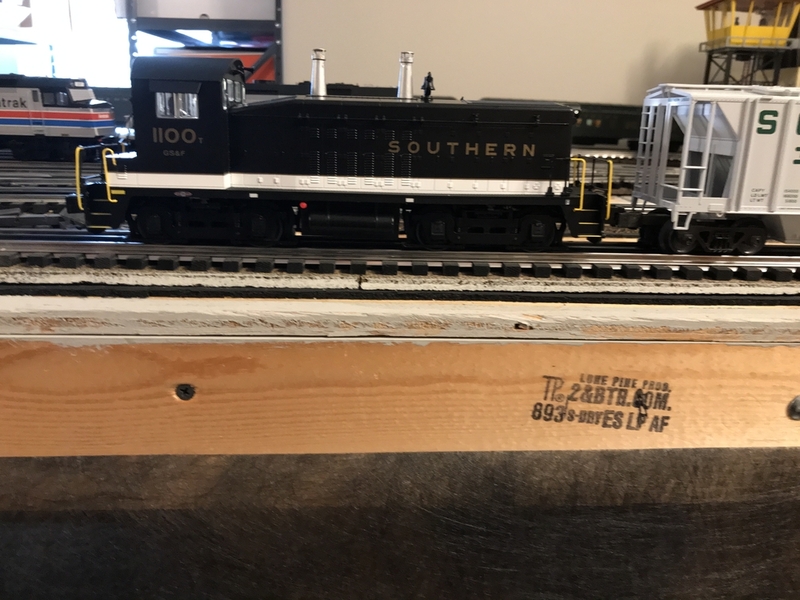 With the Lionel 2019 Catalog coming out today, these are Southern Items in it. They put in Southern 2-10-4 in a fantasy scheme. I heard beforehand that there was going to be Southern 2-10-4 in the catalog but I thought it might be the Southern Cab #610 that was used in excursion, but I give Lionel credit for not creating the 610 with this tooling since it would have been wrong. in the catalog Lionel was also correct to mention that this engine did not exist on the Southern railroad which sometimes they don't do. Southern Heavyweights are back in the catalog again as they were offered in the last Catalog. Several 2 car packs are offered as well and Southern baggage cars. I have RPO and Station Sounds car still on order which are shown here. Southern PS-1 Boxcar with Freight Sounds. In traditional items, they are offering a new series of boxcars called Railroad Heritage Series which are made in the USA with one of the 1st ones being the Southern Railroad. I assume they may offer other road names in the future. I am interested in this one. OK, here are a few interesting ones for y'all. 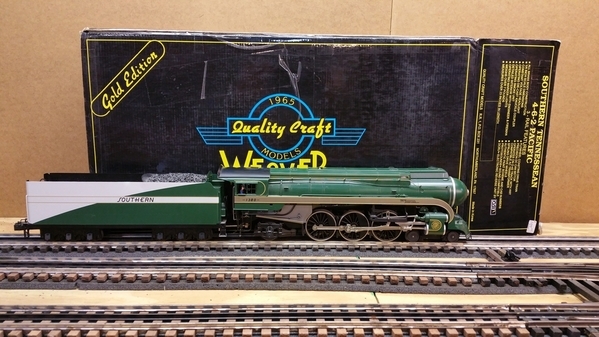 Apparently I have a taste for things that will never be made in O scale, or at least things I can't afford. So, here we have a SR 41' low-sided gondola chopped down from a $9 Atlas 52' gon, two 36' SU boxcars (approximations) bashed from built kits I found, and a ubiquitous wooden caboose bashed in the same way. Next project is to bash an MTH 19th-century 2-8-0 into a G-2! Those boxcars I will be getting if they make them! I just got the Smithsonian boxcar that will match the 125th anniversary boxcar! And lets not forget. 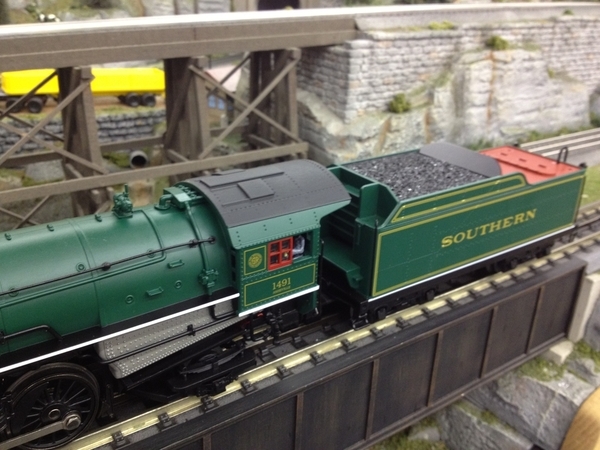 There is a LC starter type Southern engine and a LC+2.0 Southern Berkshire engine that Ryan said they forgot to put in the catalog but is being made now. Both that I plan on getting as soon as I can. what were the starting points for the boxcars and caboose. I'm finishing up a (quasi) green tie service car now.